If kids can dream it, Boys & Girls Clubs of Indianapolis can help them become it. Young people in Boys & Girls Clubs all over the nation took the opportunity to share their experience at Clubs by participating in the 2018 Blue Door Decorating Contest presented by Lowes. 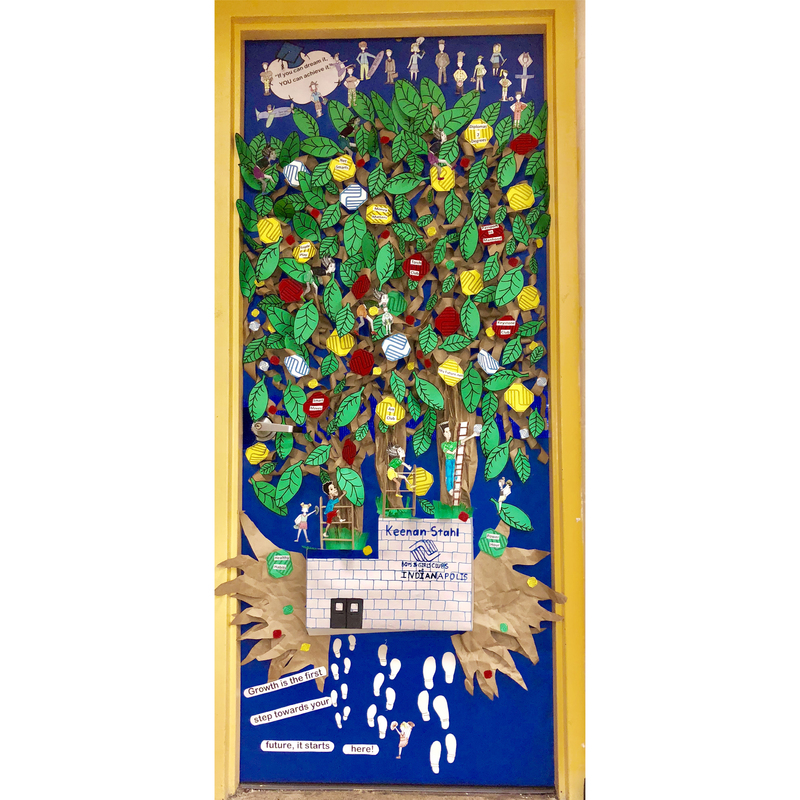 Here is a door created by members at our Keenan-Stahl Club. This art installment depicts a tree filled with all the Club programs that help members grow and mature. The bottom of the tree has Club members walking into Keenan-Stahl and climbing a ladder to the tree of growth. At the top of the tree, you can see depictions of Club members once they attain their dream careers. In honor of our year of foundation, 1893, we are fundraising $1,893.00 this week. Please help us reach this goal. Whether you have one dollar or $1,000 to spare, you will put a smile on a child’s face by letting them know you care about their future.